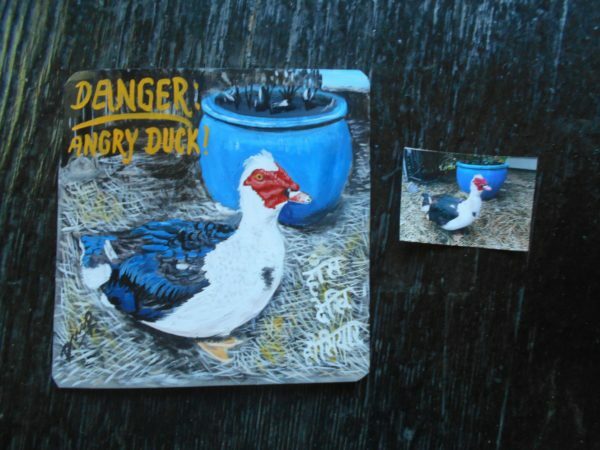 Dilip had fun with the background in his portrait of Puffy the Muscovy. I’ve heard on good authority that Puffy is indeed an angry duck. But he is cute.